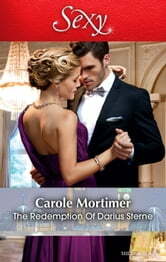 Having built a global empire synonymous with excellence, formidable tycoon Darius Sterne is a man who gets what he wants. Always. And right now? He wants ex–ballerina Miranda Jacobs….in his bed and sighing his name in pleasure. Can her pure love dance into his heart, and redeem the dark and damaged Darius Sterne?